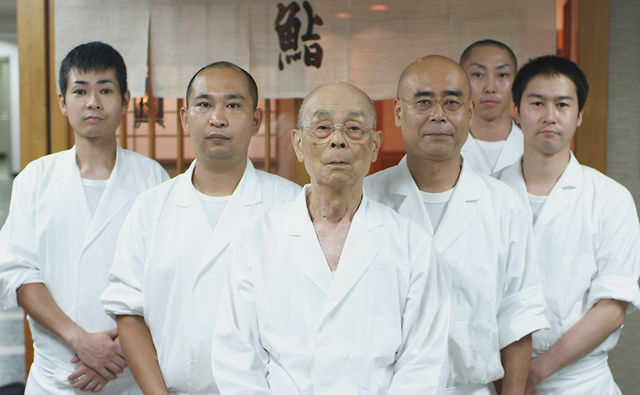 Jiro Ono is an 85-year-old sushi chef who is considered by many to be the greatest in the world. His Tokyo restaurant, Sukiyabashi Jiro, only seats ten people, and its patrons have no say in what sushi they receive. Reservations are required months in advance, and a meal costs roughly $300. Jiro’s restaurant also has the distinction of being the smallest to receive the coveted 3-star Michelin review, which it receives year after year. In this latest film from the beloved Dardenne brothers, newcomer Thomas Doret stars as the titular character, a young boy abandoned by his father who now lives in a shelter. A chance encounter with a local hairdresser (the beautiful and extremely talented Cécile De France) leads to her agreeing to adopt him on weekends. The boy is reckless and rebellious, struggling to come to terms that his father wants nothing to do with him. This makes him an easy target for a local teen “gang” leader who rewards him with video games in order to employ him in petty crime. The film and its plot are incredibly simplistic in nature, but there is a rewarding sense of warmth and compassion underneath. This remake of the 2010 Uruguayan horror film, La casa muda, relies heavily on a simple gimmick: to make the film appear to have been shot in one single, continuous take. This isn’t anything new — Alfred Hitchcock crafted a fantastic thriller around the concept with 1948’s Rope — but it seems rather pointless in the context of this film. The plot is standard fare, with Elizabeth Olsen starring as a young woman who is terrorized in a house by persons unknown. The situation quickly grows worse for her once her father and uncle disappear, seemingly due to the strangers. Now let’s hear your thoughts! Have you seen any of these? What do you think of them? I just saw Jiro Dreams of Sushi and loved it. I’ve got The Kid with a Bike in my never ending list of films to watch and it sounds very good. Nice reviews. Thanks man. The Kid with a Bike is excellent — hope you’re able to see it soon. Jiro I’ve heard of and want to see. You’ve intrigued me with The Kid with a Bike. I’d rather see the original La casa muda than the remake, though. Thanks, Eric. Yeah, I imagine La casa muda is better than the remake (isn’t it always?). Such a shame that Silent House ended up so poor. On the other hand, Jiro and The Kid with a Bike both come highly recommended. Yeah, Silent House was really bad. It speaks to how jam packed 2012 was with bad movies that I didnt have it on my worst of. Frankly, for me, Olsen’s performance lifted it out of the muck – like you metion, she rises above the source material. Jiro is something else, isnt he? That dude is crazy. 😀 It was a good flick too, you describe it well. I guess I got lucky then and have just been able to avoid 2012’s other awful movies. Silent House really got on my nerves early on, and it never recovered from there. Such a waste of Olsen’s talent. I have yet to see Jiro Dreams of Sushi, I still want to see the Bananas!*. There is a couple of other docs I forgot the names of; one is about a German family who discover their parents (or grandparents) were part of the Nazis party, and the other one about some kids playing chess that takes place in a New York school that (Yeah, that is a pretty vague description, but I cannot remember what they were called at the moment). Hmm, can’t say I have heard of those docs, but the German one sounds especially interesting. I noticed that Netflix just added a ton of recent docs to Instant Watch, so I’ll have to keep an eye out on there. Have you seen anything else by the Dardennes? Not yet, unfortunately. Heard nothing but praise for the rest of their work, though. What would you recommend seeing next? Rosetta. It’s my favorite of their work. Can’t go wrong with anything they do though. Very consistent directors. Great, thanks man! Got it at the top of my Netflix queue now. Three films I’ve really wanted to see. Having second thoughts on Silent House now. I’ll still give it a shot though, I love bad horrors. I’m always up for a bad horror, too, but Silent House is bad in a really frustrating, boring kind of way. There is little to no entertainment value, unfortunately. Jiro is such a great movie. I loved it. Arnold Schwarzenegger just went there too, so check out his Twitter feed for a pic of him with Jiro and his son! I got a good kick out of it. Hah, no way! I’m going to have to look that up. At the end of this Year we are doing a final piece, which in this case is a documentary. I will be filming and conducting a interview with a chef, well that is my plan at least. The first film on this post, really showed me what and how to do an interview with a chef and how he works, if i find any spare time i will watch this film and use it a more research in what to ask a chef about and how to go about filming it and whether it will be good and if any music should be added, which i am considering and a quite and docile background noise. Sooo glad to see someone else talking about Kid with a Bike. I saw it in the theater last year and thought it was very good! Powerful film and some really strong performances! Completely agree, man. I think it’s great that it is already part of the Criterion Collection, too. Those Dardenne brothers make some quality films, The Son (2002) is my personal favorite. I read today at The Playlist that Marion Cotillard is to star in their next project, so maybe they will reach a wider audience with a star attached. Oh, that’s awesome! I’ll have to check out The Son next after Rosetta. Can’t wait to see more of their work. Great mini reviews! The Kid with a Bike appeals to me most, reminds me of the kid in Dear Frankie for some reason. I’ll give that a rent surely. I haven’t seen Dear Frankie, but Doret is a great young actor for sure. I think The Kid with a Bike is something you would really enjoy, Ruth.